IEEE-CNSV member Steve Leibson commented on this event in this blog post. A full video of the event is here, along with links to each segment of the presentation so that they can be selectively played. In the 1980s, Mead and Conway democratized chip design, and high-level language programming surpassed assembly language programming. Together, these made instruction set advances viable. Innovations like RISC, superscalar and speculation ushered in a Golden Age of computer architecture, and performance increased annually by 60%. The ending of Dennard Scaling and Moore’s Law crippled this path, and microprocessor performance improved by only 3% in 2017! In addition to the poor performance gains of modern microprocessors, Spectre recently demonstrated timing attacks that leak information at high rates. This talk will address how the freeing of architects from the chains of proprietary instruction sets will provide opportunities in high-level, domain-specific languages and architectures, and how the demands for improved security will usher in a new Golden Age. Aided by an open-source ecosystem, agily-developed prototypes will demonstrate advances and thereby accelerate commercial adoption. This should again allow rapid improvement as in the last Golden Age, but this time in cost, energy, and security as well as performance. What an exciting time to be a computer architect! David Patterson is a Professor Emeritus at UC Berkeley, a distinguished engineer at Google Brain, and Vice Chair of the Board of the RISC-V Foundation. 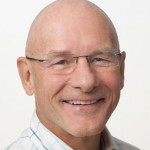 His most successful research projects have been Reduced Instruction Set Computers (RISC), Redundant Arrays of Inexpensive Disks (RAID), and Network of Workstations (NOW). These projects helped lead to multi-billion dollar industries, seven books, and about 40 honors, including election to the National Academy of Engineering, the National Academy of Sciences, and the Silicon Valley Engineering Hall of Fame. 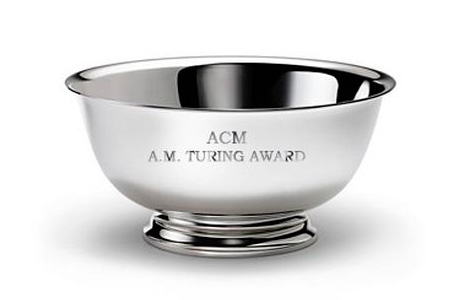 David also shares the ACM Turing award, the IEEE von Neumann Medal, and the NEC C&C prize with John Hennessy, past president of Stanford University and co-author of two of his books. He received his A.B., M.S., and Ph.D. degrees from UCLA.